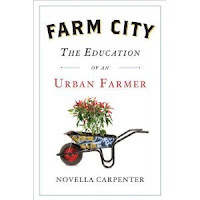 Congratulations to the winner of the book, Farm City: The Education of an Urban Farmer! Please send your contact information to crunchychickenblog@gmail.com and I'll send it your way! Congrats again and I hope you enjoy this book as much as I did!